Pneumatic Tyre Changing Machine is a new semi-automatic tyre changer with swinging arm. The horizontal positioning of the tool is obtained by means of a threaded hand wheel. 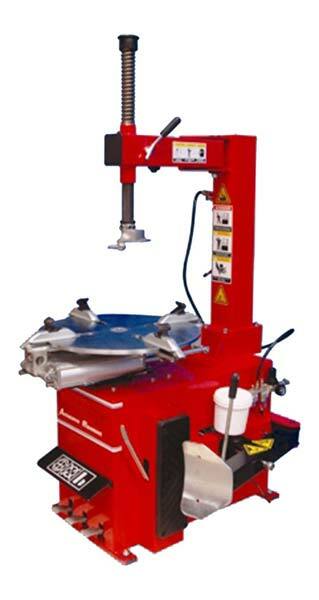 Horizontal positioning of the Automotive Tyre Changing Machine is obtained by means of a threaded hand wheel. Operating on various wheel of the same dimension means that the tool maintains original position. The single action lever locks the shafts vertically, causing at the same time the movement upwards to the peak.